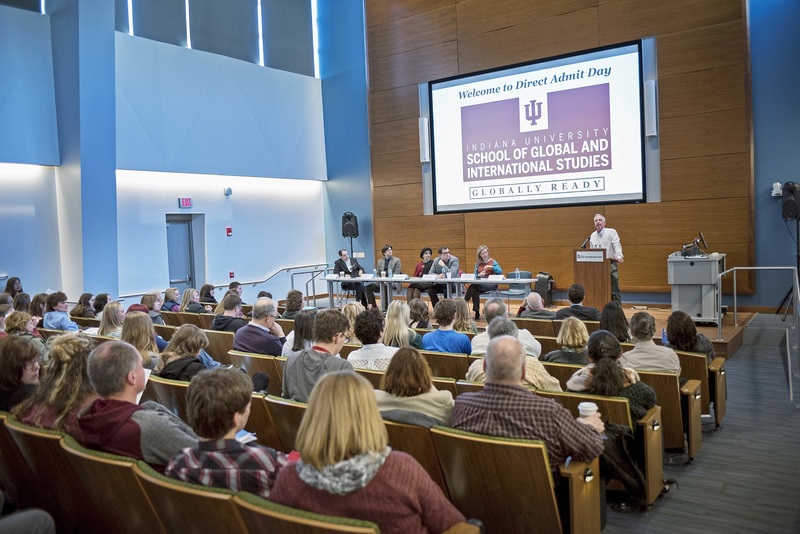 SGIS invited more Direct Admit Scholars this spring than ever before, and many of the prospective students convened at the Global and International Studies Building March 4, to learn from faculty and SGIS students about the possibilities ahead of them. On Direct Admit Day high school seniors offered direct admission to SGIS had the chance to explore their options for courses, overseas study programs, and career preparation. Before they left, the students were launched with inspiration from SGIS Distinguished Scholar Lee Hamilton. 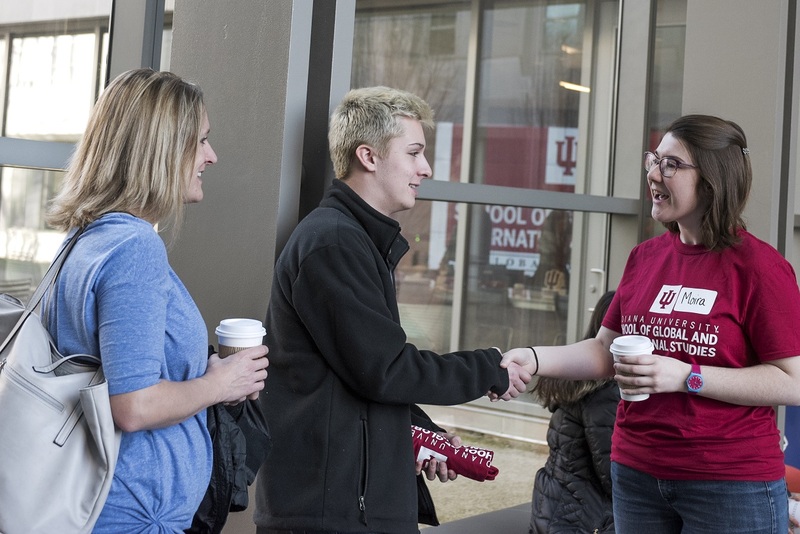 Direct Admit Scholars are high-achieving students picked to join SGIS from the moment they step on the Indiana University campus. As Direct Admits, students not only get a jump start on studies in their major, they have access to visitors and alumni and other special programming and networking opportunities. The 2017 class of Direct Admits is indeed a group of high-achieving students. Coming from 32 states and seven countries, the students who’ve been invited for direct admission to SGIS hold a median SAT of 1330 with a median GPA of 4.0. Offering her perspective as a Direct Admit, Kaiden Ketchum told the students and their families that she knew exactly how they felt, having stood in their shoes on her own DA Day. A sophomore in International Studies and Arabic from Jacksonville, Florida, Ketchum said she knew nothing about IU before visiting campus. After doing some research, she discovered IU had a great reputation for international studies and language study. And after joining her classmates, she said she was convinced she had found her place. 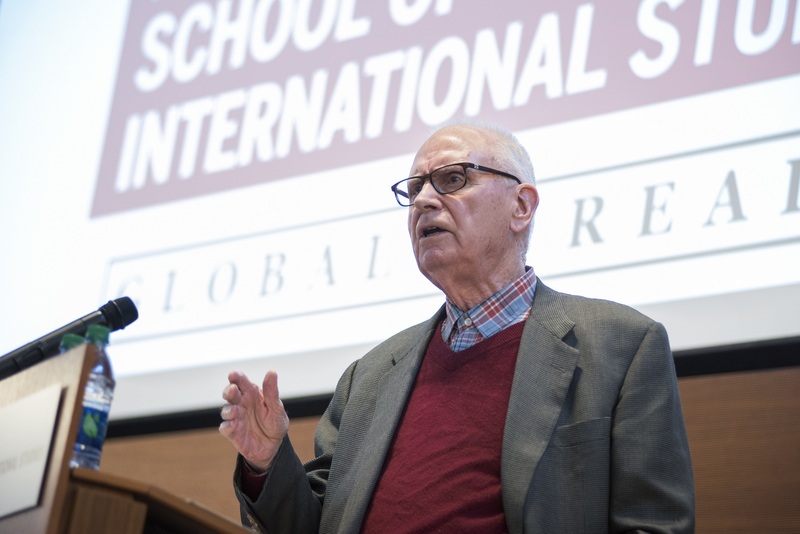 In his remarks to a full auditorium, former Congressman Lee Hamilton challenged the students to come to SGIS to give back, fulfilling the social contract the U.S. makes with its citizens. “Your country makes a little wager on you,” Hamilton said. “The wager is simple: it says ‘We’re going to give you freedom, but we want an obligation. We’re going to give you liberty, but we want duty.’” Selecting SGIS, the congressman suggested, allows students to fulfill both obligation and duty in the study of the world by concentrating on the pressing issues facing the U.S. and the globe. You can watch Hamilton’s remarks as well as Dean Lee Feinstein and the SGIS faculty panel on the SGIS YouTube channel.